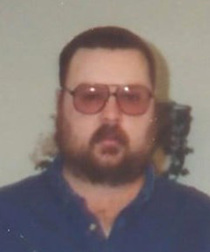 Paul Richard “P.J.” Madison, Jr., 53, passed away Wednesday March 27, 2019 at the Wheeling Hospital, Wheeling, WV after an extended illness. He was born November 5, 1965. He was a 1984 graduate of Woodsfield High School. After graduation, he entered the U.S. Marine Corps and was honorably discharged. He worked as a truck driver for various companies for many years. He was preceded in death by his parents, Paul Richard and Catherine “Katy” Madison. Surviving are his sisters, Susan (Tony) Yonak of Woodsfield and Martha (Fred) Ackerman of Palmetto, FL; along with nieces and nephews. Private services will be held at the convenience of the family. Memorial contributions may be made to St. Sylvester School, 119 Wayne St., Woodsfield, OH 43793. Arrangements are made by Bauer-Turner Funeral Home, Woodsfield, Ohio.